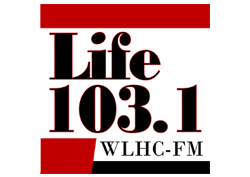 Employees of Life 103.1 and its associated business interests (hereafter, “Life 103.1”), contest sponsors, current clients, and their immediate family members are not eligible. All other listeners of the station 18 years or older are eligible to participate. One entry per person. No purchase necessary. All prizes are awarded “as is” and are not redeemable for cash. All tax consequences for winners are the sole responsibility of the winners. By virtue of their participation, all contestants grant to Life 103.1 the right to use their names, voices, and other likenesses for promotional purposes. Contestants also assume all risks and release Life 103.1, its employees, and contest sponsors from any liability for damages or injuries resulting from their participation. A violation of these rules or participation through fraud or deception constitutes grounds for disqualification in this and any future Life 103.1 contests and forfeiture of any prizes. 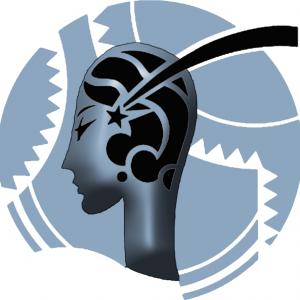 Contest rules, dates, or prizes are subject to change at any time at management’s discretion, and all management decisions related to the conduct of the contest and the awarding of prizes are final. Contest ends Wednesday at 11:59:59 p.m. One entry per week, per person. Only enter if you, or a member of your household, have not won a contest with Life 103.1 in the past 30 days. At least one winner, to be drawn at random. Prizes must be claimed by 5:00 p.m. Thursday. One lucky listener will win a pair of tickets to the North Carolina Symphony’s performance of “The Music of Whitney Houston” at Meymandi Concert Hall on Friday, February 15th. To enter, visit our Facebook page (facebook.com/life1031) and like and comment on the designated post with your favorite Valentine’s Day memory/gift. Share the post for one additional entry. Life 103.1 reserves the right to add additional methods of contest entry. Entrants or members of their household must not have won anything from Life 103.1 in the past 30 days to be eligible. One entry per person. Must be 18 years or older to win. 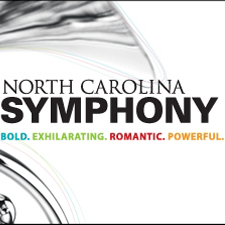 Employees and family members of Life 103.1 and the North Carolina Symphony are not eligible to win. Prize has no cash value. Contest runs 1/15/19 at 8 AM through 1/20/19 at 5 PM, no purchase necessary. The winner will be drawn at random from all qualifying entrants and then announced on Monday, January 21st, 2019. Winner must present valid form of identification at the time of prize pickup. 1/15/19 at 8 AM through 1/20/19 at 5 PM, no purchase necessary. The winner will be drawn at random from all qualifying entrants and then announced on Monday, January 21st, 2019. Winner must present valid form of identification at the time of prize pickup. One lucky listener will win a pair of tickets to the North Carolina Symphony’s performance of “The Music of Billy Joel” at Meymandi Concert Hall on Friday, January 18th. To enter, visit our Facebook page (facebook.com/life1031) and like and comment on the designated post with your favorite Billy Joel song. Share the post for one additional entry. Life 103.1 reserves the right to add additional methods of contest entry. Entrants or members of their household must not have won anything from Life 103.1 in the past 30 days to be eligible. One entry per person. Must be 18 years or older to win. Employees and family members of Life 103.1 and the North Carolina Symphony are not eligible to win. Prize has no cash value. Contest runs 12/10/18 at 8 AM through 12/16/18 at 5 PM, no purchase necessary. The winner will be drawn at random from all qualifying entrants and then announced on Monday, December 17th, 2018. Winner must present valid form of identification at the time of prize pickup.